Perhaps the most popular of all canonicalAmerican authors, Mark Twain is famous for creating works that satirizeAmerican formations of race and empire. While many scholars have exploredTwain's work in African Americanist contexts, his writing on Asia and AsianAmericans remains largely in the shadows. In Sitting in Darkness, Hsuan Hsuexamines Twain's career-long archive of writings about United States relationswith China and the Philippines. Comparing Twain's early writings about Chineseimmigrants in California and Nevada with his later fictions of slavery andanti-imperialist essays, he demonstrates that Twain's ideas about race were notlimited to white and black, but profoundly comparative as he carefully craftedassessments of racialization that drew connections between groups, includingAfrican Americans, Chinese immigrants, and a range of colonial populations. 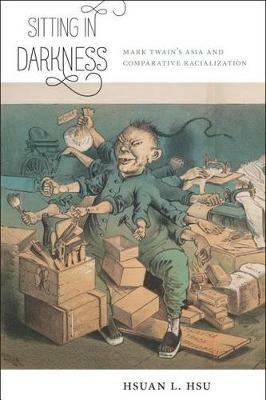 Drawing on recent legal scholarship,comparative ethnic studies, and transnational and American studies, Sitting inDarkness engages Twain's best-known novels such as Tom Sawyer, HuckleberryFinn, and A Connecticut Yankee in King Arthur's Court, as well as hislesser-known Chinese and trans-Pacific inflected writings, such as theallegorical tale "A Fable of the Yellow Terror" and the yellow face play AhSin. Sitting in Darkness reveals how within intersectional contexts of ChineseExclusion and Jim Crow, these writings registered fluctuating connectionsbetween immigration policy, imperialist ventures, and racism.